For those who are getting old, there are ways to keep youthful mentally. Is mental decline in old age inevitable? 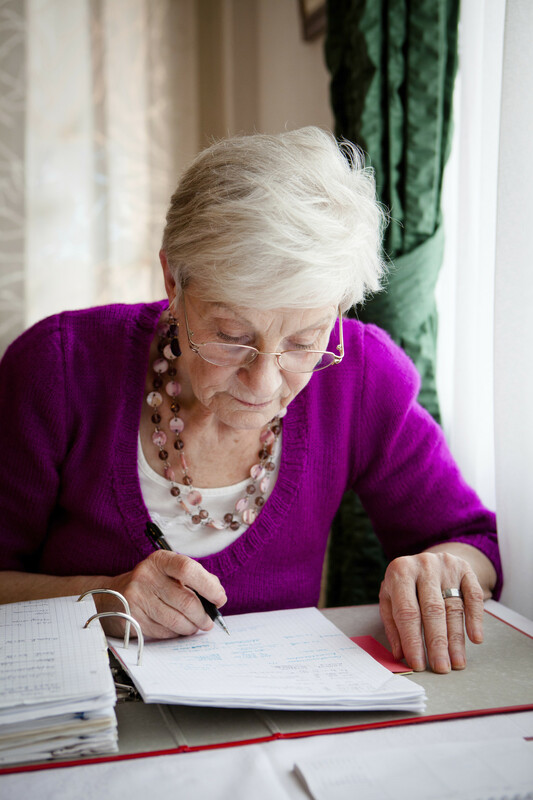 Are there habits that can help in maintaining mental acuity in later years? The older I get, the more these questions interest me, and so I keep on the lookout for discussions of relevant research that can be put to practical use. 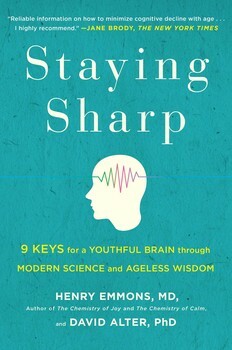 I’ve just read Staying Sharp, one of the most useful contributions in this area. I work as a researcher, among academics who depend on their minds to do their work. Most of my colleagues are over 40. Yet, despite mental capacity being crucial to scholarly performance, relatively few pay a lot of attention to nourishing their brain – “nourishing” interpreted in a variety of senses. Whatever their views about the mind, many scholars behave as if it doesn’t matter all that much how they treat their bodies, because the mind is this separate entity that can be cultivated autonomously. 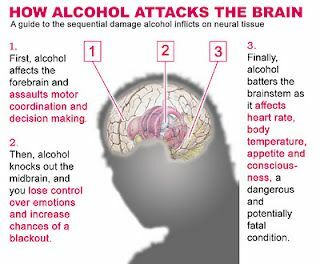 Some damage their brains through excessive alcohol. More common is a neglect of physical exercise, even though there is ample evidence that exercise benefits mental functioning in multiple ways, including reducing anxiety and depression. Poor diet is also common. The behaviour of intellectuals who neglect their bodies might be related to a status difference between white and blue-collar workers. To distinguish themselves from manual labourers, intellectuals may avoid physical exertion. Or perhaps the status comes from having sufficient income to afford a nice car and drive to work rather than walking or cycling. The book Staying Sharp is written by two US health practitioners who seek to combine ideas from scientific research with holistic approaches. 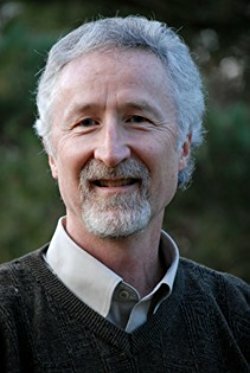 Henry Emmons is a psychiatrist with a background in conventional medicine who now includes natural therapies in his practice; David Alter is a psychologist with a PhD who practises in a centre for holistic health. Their book is subtitled 9 keys for a youthful brain through modern science and ageless wisdom. Their focus is on older people, who they euphemistically refer to as being in the “second half of life,” roughly the 40s and beyond. After a few introductory chapters, Staying Sharp has 9 chapters addressing each of the 9 keys in the subtitle. The authors have categorised the vast body of relevant research and practice into a convenient package for the non-specialist reader. Of the 9 keys, three are more overtly about the body: exercise, sleep and diet. If the brain is thought of as a biological organ, then it makes sense that exercise is beneficial: it stimulates the flow of blood throughout the body, including the brain, providing nourishment and removing waste products. A good diet ensures the nourishment is of the highest quality. Sleep allows the brain to recover from inputs during wakefulness, while also performing functions such as consolidating memories. Emmons and Alter’s other six keys are about mental orientations: curiosity, flexibility, optimism, empathy, relationships and authenticity. It seems plausible that greater curiosity can aid the mind, because it involves becoming exposed to new ideas, developing new connections and brain cells. Many people remain stuck in the same sets of ideas for years or decades, and this can lead to stagnation. I perceive this in myself in my daily writing. When I’m writing about a topic I’ve written about before, the words flow easily, but if I tackle a new topic, it becomes more of a struggle, which might be a sign of greater effort that mobilises less frequently used brain circuits. It is more comfortable to stick with familiar topics. Tackling new topics, as a result of curiosity, is analogous to exercise that pushes the body a bit beyond its comfort zone. Emmons and Alter go well beyond this sort of intuitive assessment. 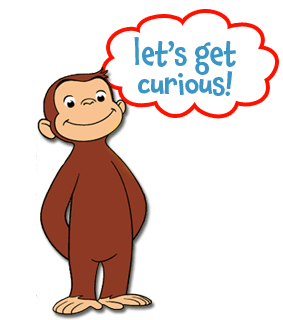 They cite all sorts of scientific studies about curiosity, provide an evolutionary rationale for the advantages of curiosity (but not too much of it), give the case for experiencing boredom (to a certain degree), and provide all sorts of suggestions for fostering curiosity. For each of the chapters on the 9 keys, Emmons and Alter provide a summary of key concepts, a rationale for the activity, evidence of effectiveness, and practical guidance for engaging in the activity. For example, concerning sleep they report on the prevalence of sleep deprivation in the US, tell about changes in sleep patterns as people get older, describe at some length the benefits of sleep (improved mood, clearing of the mind, repairing the body), give the biological rationale for the importance of sleep (including detoxification), and then pages of details about how to develop habits that promote good sleep. Of writing for the general reader on the mental side of ageing well, Staying Sharp is the most comprehensive treatment I’ve seen. It draws on a wide range of scientific literature and covers both physical and psychological dimensions. The authors provide detailed practical steps in each area they address. Out of the vast body of research and writing about the mind and ageing, to highlight 9 areas is a matter of convenience. In practice, all sorts of practices make a difference, but trying to make sense of all the information available is overwhelming. Readers who have been following research in areas covered in Staying Sharp will have their own ideas about priorities. This is only to be expected, because no prescription for productive ageing is ideal for every individual. Staying Sharp is oriented to affluent people and to life in the US. For those living in poverty or in a different culture, some of the keys would be different. To stay sharp, sometimes the first priority is to stay alive. The book is written for individuals, even though some of the recommendations are about building connections with others. Individualism is higher in the US than anywhere else, and is probably greater among those who are well off. As a result, Staying Sharp has little about collective solutions for ageing well. For example, towns can be designed so that exercise by walking and cycling is part of daily life, and workplaces can be designed to foster greater optimism and stronger relationships. These involve social change, will be resisted by groups with vested interests, and are unlikely to make a big difference in the short term. It’s possible to imagine a future in which the insights from Staying Sharp, and the experiences and studies on which it is based, are used to build communities that encourage mind-strengthening throughout life. 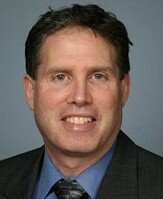 Until then, a possible substitute is to devote efforts towards moving towards such a future. The efforts will help others and, by following Emmons and Alter’s advice, can contribute to staying sharp throughout one’s own life. Thanks to Paula Arvela, Anu Bissoonauth-Bedford and Jody Watts for helpful comments.